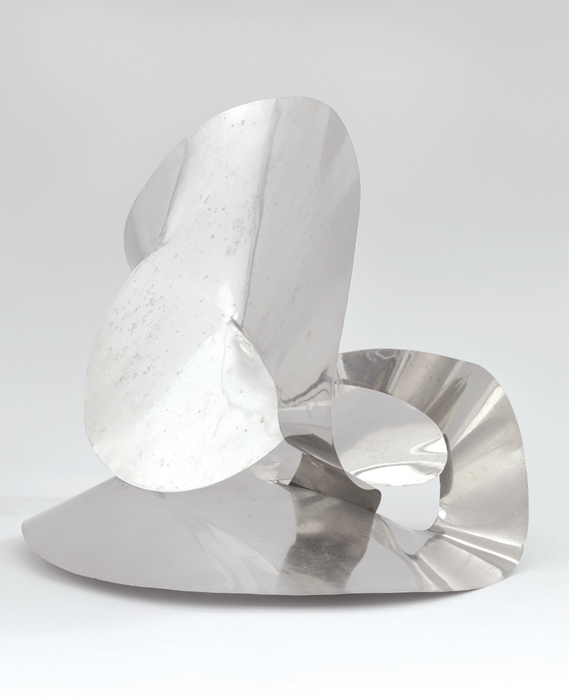 Lygia Clark, The Inside Is the Outside, 1963, stainless steel, 16 x 17 1/2 x 14 3/4". Now regarded as one of the postwar era’s most important artists, Lygia Clark produced a generative body of abstract painting in the 1950s, reinvented sculpture with her participatory objects of the ’60s, and later devised an altogether unique mode of ritualistic, collective quasi therapy. This long-overdue retrospective, the largest such presentation of Clark’s work in North America to date, will encompass some three hundred objects drawn from the Brazilian artist’s four-decade career. The crucial question will be how MoMA treats the legendary “Bichos” (Critters), 1960–66, and “Trepantes” (Climbers), 1965, series of sculptures that the artist understood as living things, activated only through direct physical interaction with the viewer. The catalogue includes essays by Sergio Bessa, Christine Macel, and Briony Fer, among many others, and a major suite of previously untranslated writings by the artist. There really is no one like Roberto Cuoghi, the brilliant Italian weirdo who launched his career as an artist by transforming himself into his own father. Physically. I will never forget encountering the young man on a terrace in Turin, a bit chunky with a gray beard, wearing a 1970s-style suit and glasses. He looked sixty-five. More recent projects are just as demanding and peculiar. Who else would spend two years learning ancient Assyrian well enough to write and perform an imaginary lament from 612 BC, accompanying the singing with his own re-creations of ancient and arcane instruments? 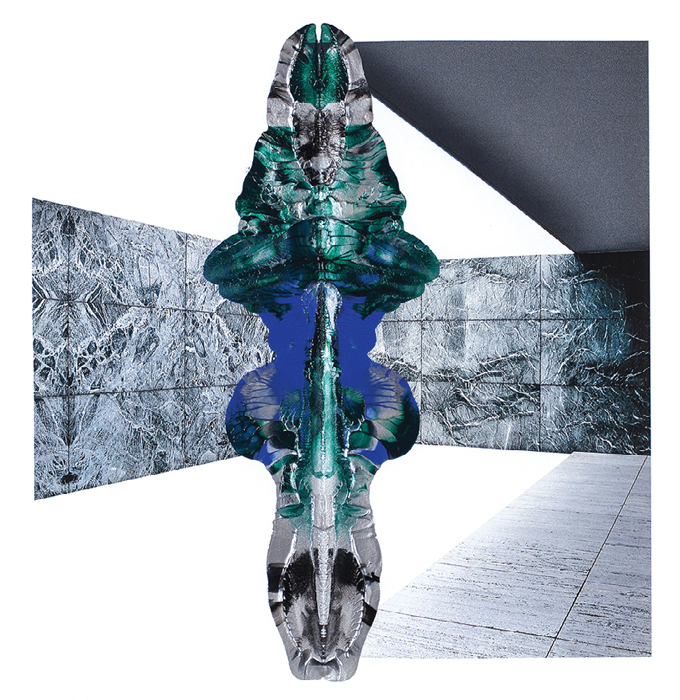 The resulting sound piece, Šuillakkucorral version, 2008–14, will debut at the New Museum, where it will fill the entirety of the third floor, installed in an immersive, circular room constructed for the occasion. A catalogue with essays by cocurator Margot Norton, Alison M. Gingeras, and artist Thomas Grünfeld accompanies the show. 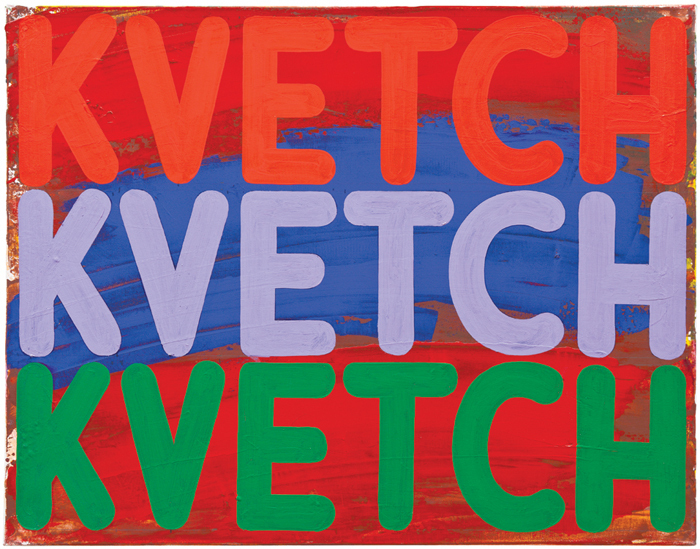 Mel Bochner, Kvetch, Kvetch, Kvetch, 2010, oil and acrylic on canvas, 22 x 38". A good deal of attention has been paid in the past decade to the work of Mel Bochner, with exhibitions at the Art Institute of Chicago, the National Gallery of Art in Washington, DC, and London’s Whitechapel Gallery, among other venues. Yet in New York, Bochner’s home for close to fifty years, the artist has, bizarrely, never received a museum survey. This welcome exhibition, though not the full-scale retrospective Bochner so richly deserves, will include more than seventy workspaintings, drawings, and prints from 1966 to the presentin which Bochner deploys lists of words, in many cases groups of synonyms extracted from Roget’s Thesaurus and reconfigured in columns and rows. The words become texts, always ironic, often dark. Yet with time, reading gives way to a scrutiny of pictorial concerns: problems of mark-making, facture, and color that, for all Bochner’s so-called Conceptualism, have almost always grounded his work. 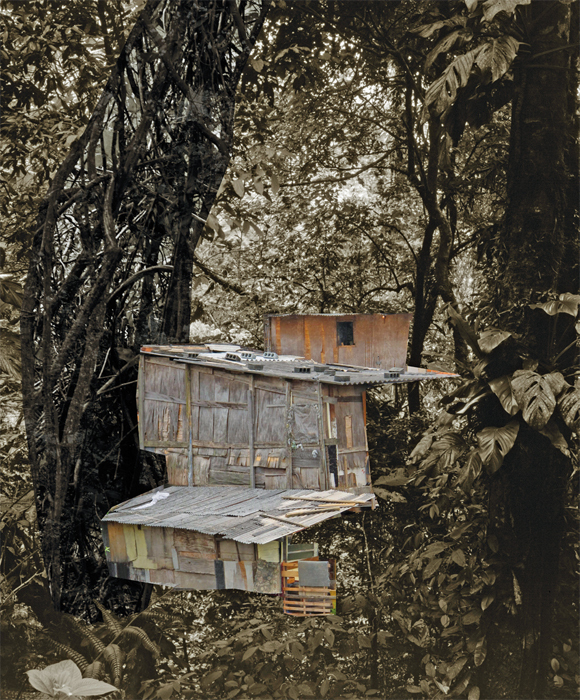 This exhibitionderived from a 2011 Bronx Museum symposium and accompanying volume of the same nametakes Lucio Costa’s idealized dwelling unit in Brasília, the superquadra, as a jumping-off point to explore the ways in which contemporary artists have addressed the contested legacy of Latin American and Caribbean architectural modernism. 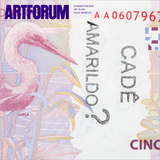 Twenty-plus artists contribute more than sixty works in diverse mediaranging from quasi-architectural interventions (Los Carpinteros) to incisive social critique (Daniela Ortiz and Alexander Apóstol) to poetic reflections on history and form (Quisqueya Henríquez and Ishmael Randall Weeks). These heterogeneous approaches promise to grapple not only with midcentury modernism’s effects on the built environment but with its abiding spectral presence as an emblem of utopia. Talks, screenings, and performances at an off-site pavilion designed by Canadian artist Terence Gower and Argentinean architect Galia Solomonoff will round out the show. Caio Reisewitz, Aspicuelta, 2012, ink-jet print, 15 3/4 x 13 1/8". The artist Hélio Oiticica once called Brazil “the country that simply doesn’t exist”meaning, one presumes, that there was no single essence that could lend his nation a unified identity.In the decades since those words were written, Brazil has become increasingly fragmented, as social cohesion has been sundered by widening disparities in opportunity. The Brazilian photographer Caio Reisewitz foregrounds this reality in his American solo debut, presenting large-format photographs and photocollages he produced between 2003 and 2013. Demonstrating a preoccupation with the clash between Brazil’s past and present, the artist’s dense images of built landscapes are of particular urgency. Here we see a growth of camouflaged favelas nestled within a bucolic rain forest or modernist architecture negotiating its territory in a land with a rich colonial heritage. As the world turns toward the newly stadium-centric Brazil for this year’s World Cup, Reisewitz’s work offers a much-needed perspective on the many other Brazils that will not be in attendance. In films such as Swinging the Lambeth Walk (1940), where drawn and scratched lines undulate in striated verticals and sine-wave-like horizontals to a jaunty jazz sound track, and Free Radicals (1958), in which chalklike inscriptions streak and sway across a pitch-black screen accompanied by African music, New Zealand animator Len Lye used the cinematic apparatus to make static frames (cels) appear to move. In “Motion Sketch,” the Drawing Center will focus on the inverse and much less known aspect of Lye’s production: his hand-drawn images intended to distill the movement of depicted entities on a single page. Alongside an extensive film program, the exhibition will feature work in various media (much of which has never been shown in the US) and will examine the formative role that Lye’s drawing played amid them all.